Cheesecake made with Caramel Sea Salt Butter graham cracker crust. 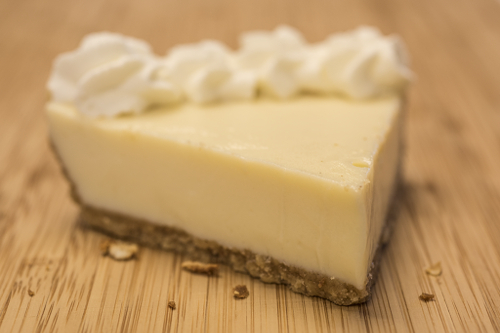 While your basic cheesecake may be a bit ordinary, it is nothing short of delicious. If you want to take it up a notch even further, then we have two suggestions for you. First, try your hand at a graham cracker crust using Epicurean Butter's Caramel Sea Salt Butter. (Recipe below.) Second, one of our favorite cheesecake recipes comes from Oprah. Check out this Cheesecake with Fresh Berries recipe. In a medium bowl, mix together the graham cracker crumbs with the melted butter and sugar until combined. Press the mixture into a 9” pan and make sure it’s tight and compact. Use a flat bottom measuring cup to press down. Bake for 10 minutes and let cool in the pan for 5 minutes before removing from the pan. Let cool entirely before adding filling.